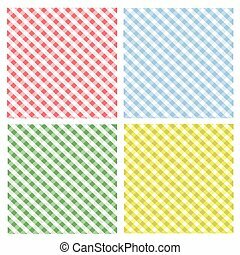 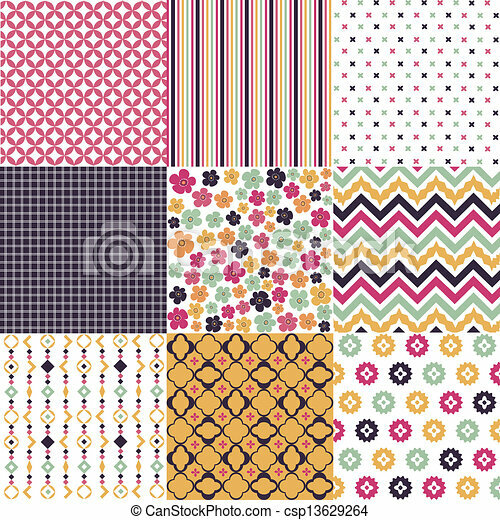 Vector geometric patterns - seamless. 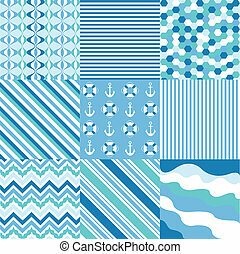 Blue light texture. 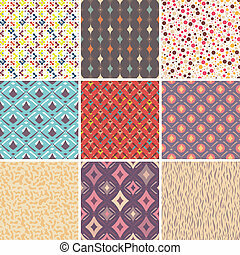 Abstract vector seamless patterns. 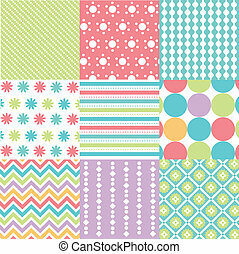 Great for web page background. 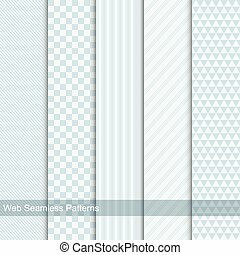 Vector geometric patterns - seamless. 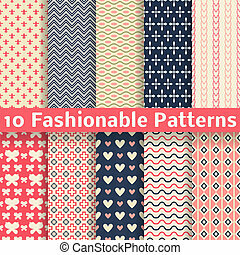 Ten stylish backgrounds for your design and ideas. 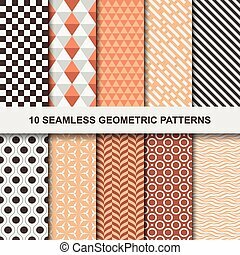 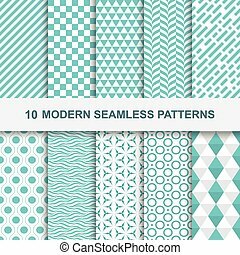 10 Modern seamless geometric patterns. 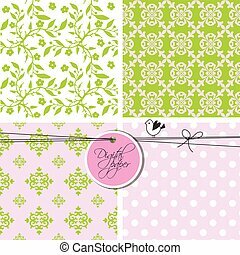 Decorative green textures. 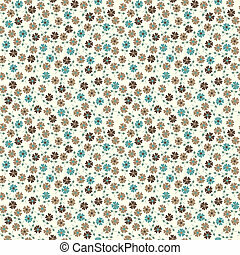 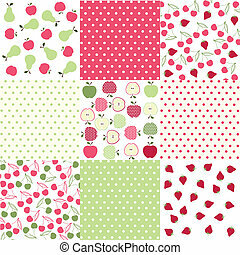 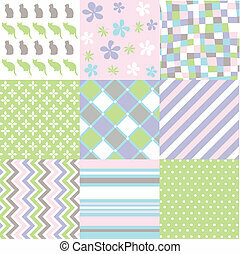 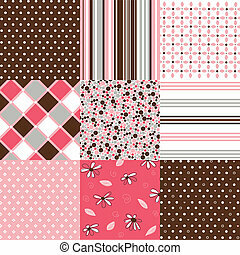 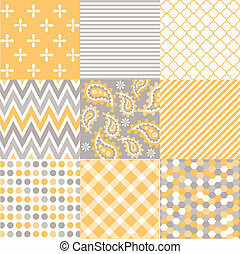 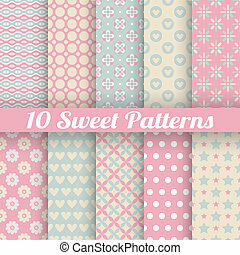 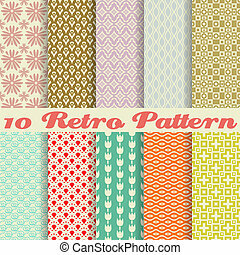 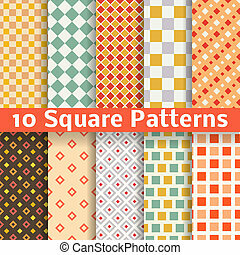 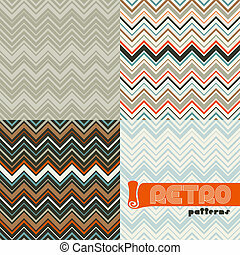 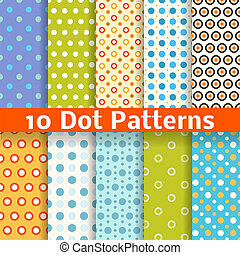 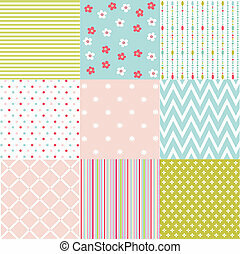 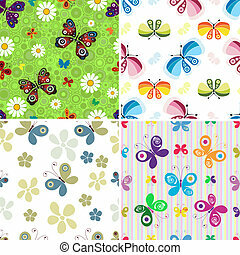 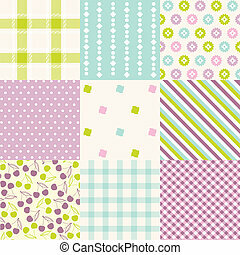 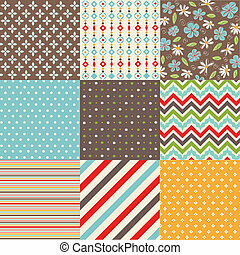 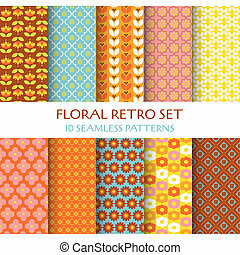 Sweet cute vector seamless patterns (tiling). 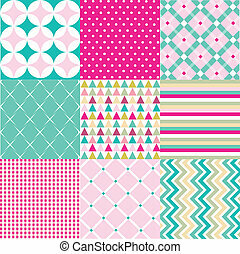 Pink and blue shabby color. 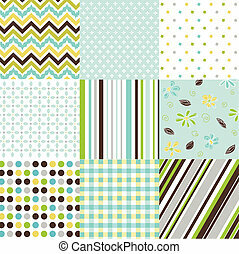 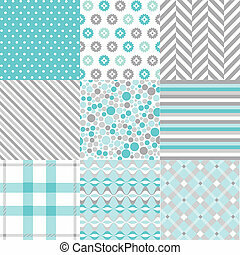 Endless texture can be used for printing onto fabric and paper or scrap booking. 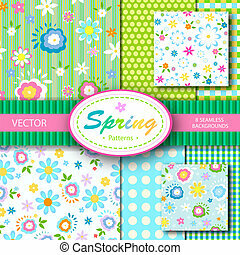 Flower, heart, dot, wave abstract shapes.